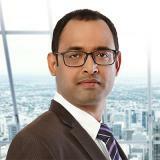 Saurabh specialises in business to business (B2B) marketing within the high-tech industry. Singhal is listed among the Top 100 most talented global marketing leaders by World Marketing Congress and CMO Council His expertise lies in in wearable technologies, internet of things, smart cities, information and network security to name a few. He is recognised in the industry to formulate, drive, and execute strategic programs in fast paced environments in large Fortune 100 MNC organizations as well as mid-sized tech organizations. · The changing role of CMOs –What to expect in future? Check out the incredible speaker line-up to see who will be joining Saurabh .